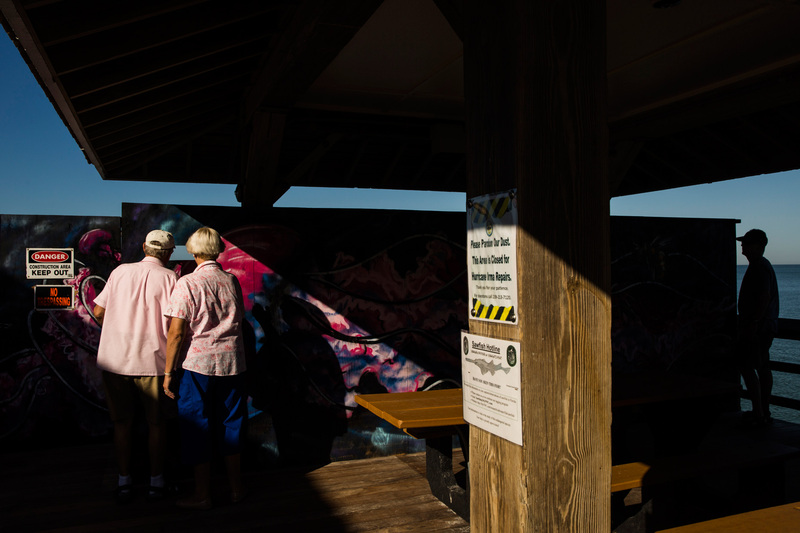 Visitors to the Naples Pier peer through a hole in a wall blocking off approximately half of the pier. The pier suffered damage from Hurricane Irma. For the Weather Channel.